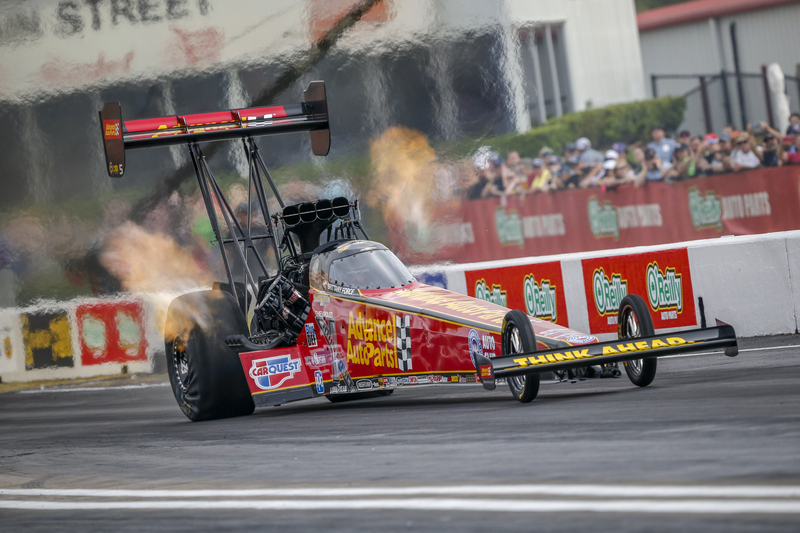 BAYTOWN, Texas – It was a father-daughter duo that stole the show in the early rounds of Nitro qualifying on Friday at the 32nd annual Mopar Express Lane NHRA SpringNationals presented by Pennzoil. Brittany Force, who is the 2018 Top Fuel dragster world champion, along with her father John Force, a 16-time Funny Car world champion, both topped the leaderboard in their respective classes. Never before in NHRA history has this father-daughter duo been the low qualifier at the same event. They will attempt to secure their provisional No. 1 qualifying positions when the final two rounds of qualifying are held on Saturday afternoon at Houston Raceway Park. Force, driving her Advance Auto Parts dragster, led the field after she recorded a pass of 3.661-seconds at 332.18 mph in the second session. That run enabled her to set both ends of the track record and secure a new Houston Raceway track record. Meanwhile, her father J. Force and his PEAK Coolant and Motor Oil / BlueDEF Chevy Camaro SS team grabbed the provisional No. 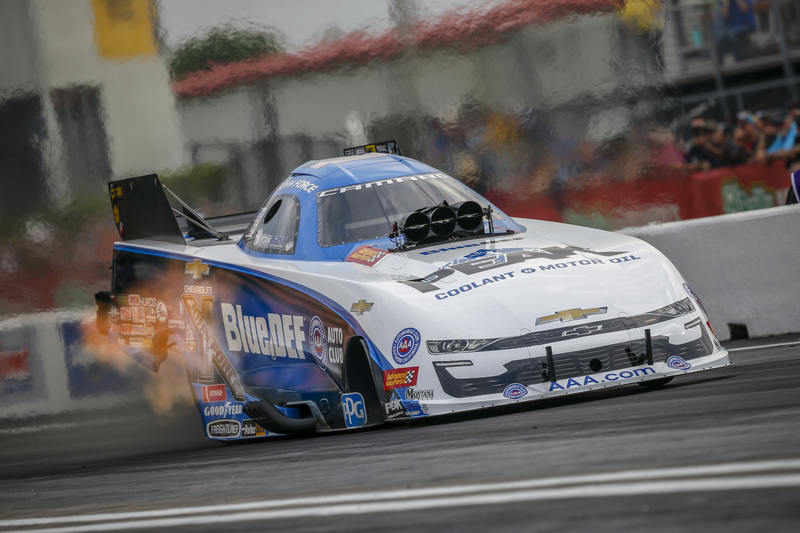 1 spot in Funny Car with a pass clocked at 3.888 seconds at 319.29 mph during the second qualifying session. Last year here at this event J. Force failed to qualify for the event. A victory this weekend would be his eighth at Houston while Brittany is aiming for her second win here. “You look at Houston and they always seem to have pretty good race tracks,” Force said. “I won my 100th here and the conditions have been good. We’ve had cloud cover all day. “Tim Wilkerson (who was in the lane next to Force) joked with me that he clicked it off a little early to give it to me but he was right there too. We’ll see where it goes. We want to come back and see if we can do it again. We slowed down and ran a .95. Saturday’s racing action at the Mopar Express Lane NHRA SpringNationals presented by Pennzoil will continue with nitro qualifying beginning at 2:30 p.m. CT. The elimination rounds are set for Sunday at 11 a.m.